Thanks to GameFAQ user, Alyassus, we have brand new information about cancelled DLC plans and events of Final Fantasy XIII-2. Also some important and interesting questions concerning to the story have been answered. Note: This news will have huge story spoilers. Don’t read if you haven’t finished the game yet! Originally, Final Fantasy XIII-2 wasn’t meant to be a direct sequel for Final Fantasy XIII. The story was meant to take place some 900 years afterward. During the creation of all the back story for the 900 years in between XIII and XIII-2, the development team decided to add time travel in the game. The theme of the game was keep the hope alive, even if the future is dark, uncertain and dangerous. Developers have got inspiration to the story from the tsunami cataclysm which happened in Japan in March 2011. The battle between Lightning and Caius in Valhalla was meant to take place in an endless loop. Both characters were aware of it though. The endless loop could only end when Lightning turn into a crystal. Like we know, Valhalla is a place between the Unseen World and the real world, but originally it was meant to be the place in 999 AF. That time was also mentioned in Final Fantasy Type-0 (Only released in Japan for PSP) which would have tied both games together. This idea was cancelled. The Caius which we have seen in 700 AF traveled to Valhalla by using the power of Chaos. From there he had the ability to send messages to past-him in different timelines. This explains why Caius in 200 AF seems to know Noel, even though they shouldn’t have met yet. He doesn’t have the ability to time travel, but Caius you fought in 500AF can be the same Caius in 700AF. 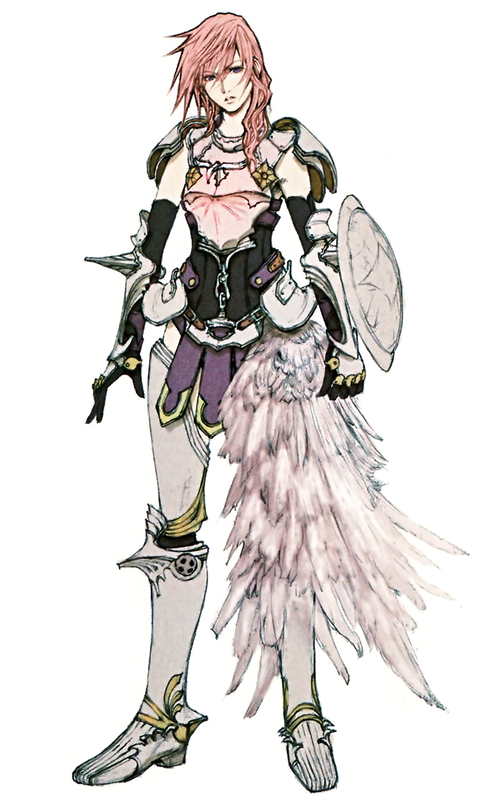 Does Caius purposely make Yeul’s lifespan shorter by changing the timeline? Caius is aware of this and that is why he tries to destroy the world and bring everything to Valhalla. More paradoxes Serah and Noel solve more possibilities for the future broaden. That’s why Caius tries to reduce the number of possible futures to the point where there is only the one future, where the world is destroyed and gone. He allows Serah and Noel to solve the paradoxes and the world is still heading for its doom. Caius’ motivation comes from the fact that he has seen Yeul die so many times on his hands and he knows the world will end in 700 AF. 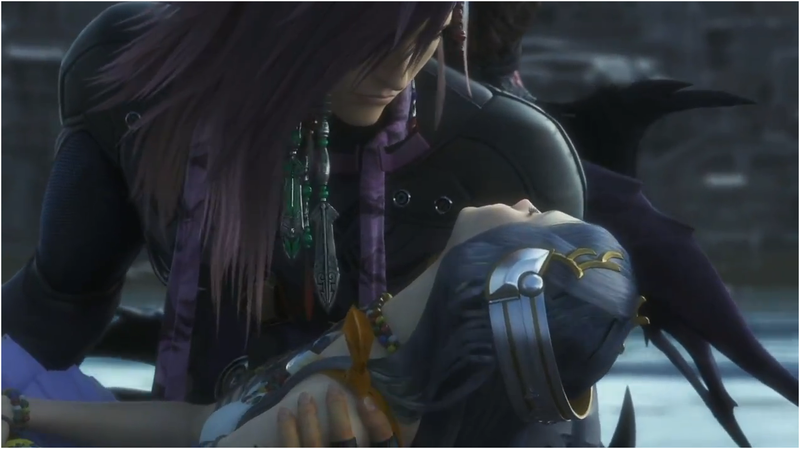 He wants to safe Yeul from her suffering by ending the world sooner than it is meant to happen. Caius actually died at the hands of Noel near the end of the game, but may live on through Chaos. Final Fantasy XIII-2 didn’t feature any love story between Serah and Noel because they both had their own loved ones in Snow and Yeul. In few interview Toriyama promised that game will bring happy ending for Lightning but it didn’t happen. He he hopes to tell more stories using Fabula Nova Crystallis mythologies. Ultimania Omega book also includes information about scrapped DLC plans. 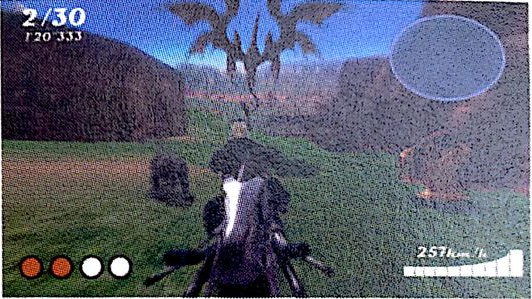 Originally Snow’s episode included a motorcycle minigame through the Archylte Steppe where he would fight against monsters. (See photo above) The goal was defeat 30 monsters, and Snow’s abilities would have been spinning, drifting, jumping and water spell. The racing system was used as the base for the chocobo racing minigame in Serendipity. There was also plan to make Hope Episode DLC as an adventure type game using Live Trigger system in Augusta Tower. The goal was to stop Alyssa from killing Hope. Player would have used terminals, where you would have done some decisions that would let you continue the game or get a game over. At first Alyssa was supposed to be a tough type of woman that would make fun of men. Her relationship with Hope should have changed both characters some way. They had a few fun ideas for her, but nothing was revealed. Anyway this version of Alyssa would have been too much alike with Jihl Nabaat so they decided to change her character. According to interview, as harvested by Andriasang, Lightning Returns: Final Fantasy 13 is supposed to be played through multiple times. Unlike most games in the sprawling RPG franchise, you ought to be able to complete a playthrough comfortably in something less than thirteen hours, the story’s time limit. Interestingly, Square Enix is only planning on one ending – a happy one, despite it being the last appearance of popular protagonist Lightning – so it’s not quite clear why the player would repeat the game. That said, the developer keeps talking about how the game is “world driven”, with player action shaping the environment, which raises some interesting possibilities. The world will be full of clocks, apparently, constantly reminding us to leg it. One day in the game’s world works out to about one to two hours of real world time, but there will be “increases and decreases” in time. Player action can end the game early, too; sometimes doing good deeds will shorten the time limit; sometimes killing monsters and completing quests will lengthen it. 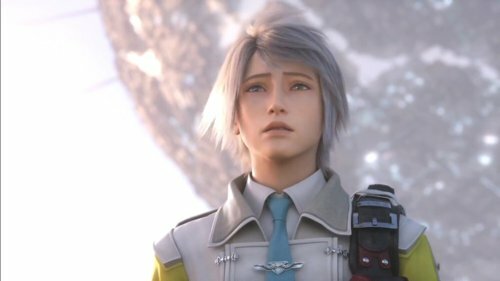 On the story side, the ending of Final Fantasy XIII-2 hasn’t killed off the world’s population; instead, people have stopped ageing and don’t get old. Presumably this has something to do with the time-travel plot of the previous game and the apocalypse time limit of this one. Hope will be an important part of the plot, feeding information via wireless communication. Of the four islands in Novus, two are cities and two are more undeveloped. In battle, the player will control Lightning alone, so as to be able to concentrate fully. She has become “a considerably more refined person”, whatever that means, moving freely around the battlefield. Although it’s not an action game and uses an ATB gauge, some elements of battle will be timing based, and actions will be triggered by button press rather than selected from menus. Development is currently estimated at 30% complete; Lightning Returns: Final Fantasy 13 is expected on PlayStation 3 and Xbox 360 in 2013.
looking forward to the next final fantasy 13~2 was good altrhought still alot of unleft questions. I hope u make the next installment with lightning sareh noel and cauis and there realationship quaret hard to follow. Bigger font for reading would be nice. Graphics gameplay music cineamatics and fighting squences alot better in 13~2. The only thing is weapons upgrades and classes could improve a bit. And the gameplay could be 40~80 hours after all its a emotionally invested rpg and no one does it better than final fantasy. I’ve platinumed both Final Fantasy XIII & Final Fantasy XIII-2 & as for Final Fantasy XIII-2 more DLC or not i want Final Fantasy XIII-3 so bad! I Hope they Make a Vanille and Fang DLC scenero when they complete the Scenero then Vanille and Fang will Join the Party as Padagram Pack Feral Link Monsters. Vanille will be SAB role and Fang will be COM role. 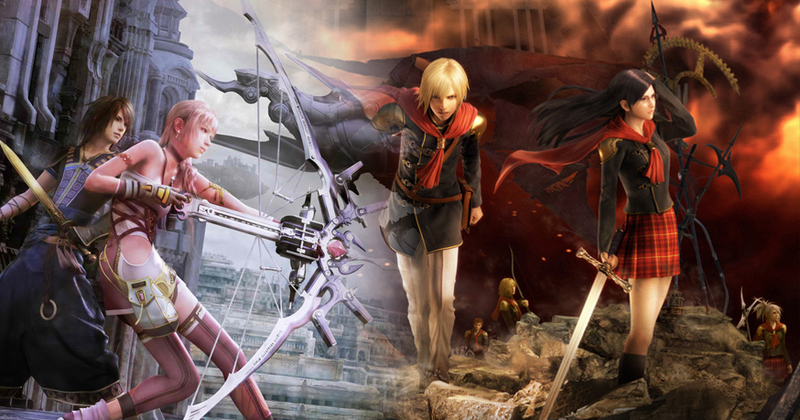 There sin’t going to be anymore DLC, Lightning’s scenario was the last one. What would a F and V scenario be anyway? don’t think it’s possible, no way would they do one for before they went to Cocoon. Would take too much resources for a $5 scenario. Final Fantasy XIII-2 Story is Continued in the Novel the Fragments After the story book after the Events on Final Fantasy XIII-2 and What is Noel and Hope up to so far. The story isn’t actually continued in Fragments After, it just explains all what happened off screen, such as what Lightning was up to, Caius and Yeul’s backstory, etc. As for Noel and Hope, most likely they were consumed by the Chaos.